In an op-ed in the Washington Post on March 24, Jason Rezaian, an apologist for Iran’s regime, once again parroted disinformation by the regime’s Intelligence Ministry against the principal opposition group, People’s Mojahedin Organization of Iran (MEK). This desperate attempt to discredit the main opposition is a bid to legitimize the continuation of the policy of appeasement. According to Razaian, the MEK and Maryam Rajavi lack public support in Iran. 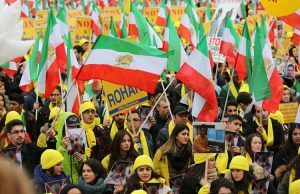 This overlooks the huge turnout in the major organized anti-government protests which the regime’s Supreme Leader has pointedly said had the hallmarks of the MEK as the main organizer. Most recently Iranians took to the streets across 142 cities to call for regime change and denounce the Iranian government. The government itself has also taken serious measures to curb the public support for MEK. In nearly 40 years, it has arrested and killed more than 120,000 MEK members. 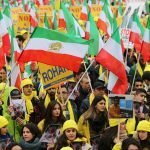 This not only attests to the large popular support the MEK enjoys but also the extent that the Iranian government perceives the group as a threat to its authority. Supreme Leader Ruhollah Khomeini used the conflict as an opportunity to quell domestic opposition, arguing that all challenges to the ruling mullahs should be disregarded since the country was at war. After Iraqi troops retreated out of Iranian soil, in January 1981, everything was ready to end the much hated and destructive war that had left millions dead or displaced on both sides, but Khomeini refused to end the conflict, bringing needless misery and suffering to millions of Iranians. The MEK (PMOI) strongly disagreed with the mullahs’ decision to continue hostilities and began a campaign to bring an end to the conflict. The Iranian Regime’s Intelligence Ministry (MOIS) and the Iranian lobbies never give credit to the MEK for presenting a peace plan that garnered broad international support or recalls Khomeini’s refusal to accept a United Nations ceasefire (Resolution No. 514) proposal in July 1982. Iraq endorsed the initiative, but this action is never acknowledged by the MOIS fabricators. Razaian’s piece goes on to assert that the MEK is hoping for a US-Iran war, which is again a blatant lie. MEK has always emphasized that the Iranian people and their resistance are capable of regime change and do not need any military intervention by any third party. Their request to the international community is to stop the policy of appeasement and to recognize the Iranian people’s aspirations for change, which was resonated widely during the recent uprisings across Iran. Former Governor of New Mexico, Bill Richardson, expressed the MEK’s objectives, saying “they are anti-nuclear” and stand for “separation of church and state” and “individual rights”. This is at the heart of the MEK movement. It does not promote war or violence. It is clear the government perceives the MEK as a serious threat to its authority. This is why it has embarked on an international smear campaign abroad, combined with a repressive crackdown on the group’s operations within Iran. Jason Rezaian and others are perpetuating the lies of the Iranian regime and thereby furthering the government’s objectives. The lies stem from fear. The government’s authority has been undermined by large-scale protests in recent months.